Why repair when you can swap? 12 month warranty on all replacements! Choose to upgrade your iPad or even change colour! Software problems fixed under 1hr! From broken screens to liquid damage – we’ll replace your broken iPad for a great price! We will process your request and reply to you shortly. 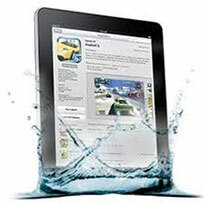 Get a replacement iPad for post-warranty hardware issues such as broken screens and liquid damage. You even get to upgrade! We take care of the complete range of iPad issues. If your iPad is covered under warranty, we'll either replace your device in the case of a hardware malfunction or fix your iPad in less than 1 hr if it's a software issue. If your iPad is not covered by warranty or was accidentally broken, then pay a competitive price similar to a repair... But get a replacement device instead! You can even choose to upgrade your iPad to a higher capacity or different colour. Check out the list of potential iPad issues covered under warranty. How do I know if my iPad is under warranty or out of warranty? Every new iPad comes with a standard 12 month warranty from time of purchase. Call us on 800-7927 or email us if you're not sure if your iPhone is under warranty. What does a warranty repair cost? If your iphone is covered under warranty, then your device will be repaired at NO ADDITIONAL COST. Depending on the issue with your iPad, repairs such as battery replacement can be done in under 1 hour. However, bigger problem may take up tp 7 days. Cracked your case? Dropped your phone? Don't worry, we've got you covered! What if my iPad is out of warranty? If your iPad has suffered a broken screen, liquid damage or is out of warranty, we will buy-back your defective iPad & replace it with a new replacement unit. You might also choose to buy a new iPad or try our FONESWAP service. What does a non-warranty repair cost? First we will analyse the damage to your iPad, then we will give you a quote to purchase your unit & offer a new replacement. Upon your acceptance, we will proceed with the replacement. If you visit our walk-in centre, we will immediately swap your device for a replacement unit - NO WAITING! We also have a free delivery service (up to 4 days for delivery). Please note we do not replace devices for software related problems - we provide a convenient 1hr service. How do I get my fixed iPad back? Your replacement iPad can be delivered direct to you at home or work through our Free Delivery Service OR you can pick-up your device from our walk-in store on Shiekh Zayed Road. You’ll have your new iPhone in no time! Start by Filling out the replace my iPad form, call us to get your device picked-up for free or drop-off your device our walk-in center. Our phone doctors will diagnose the issue and let you know the cost to replace your Apple iPad. Upon your approval, we will replace your phone on the spot! No waiting! 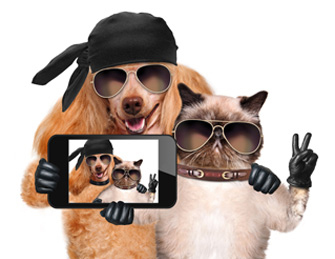 If you sent your device in, we will notify you through SMS, email and iPad call when your replacement is ready. 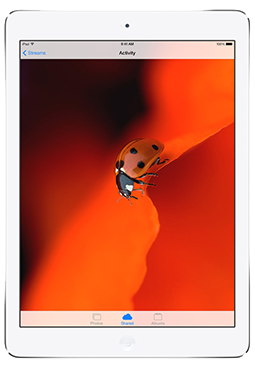 You can either have the iPad delivered for FREE or you may pick-it up from our walk-in center. Call us to ask a question, check if your device is under warranty or coordinate Pickup (charges may apply)! Visit our Customer Service Center on Sheikh Zayed Road in Dubai and experience our iPad Repair & Replacement Service. For details on the location or if you have any issues with your device.